WEB EXCLUSIVE from Diesel Tech Magazine. 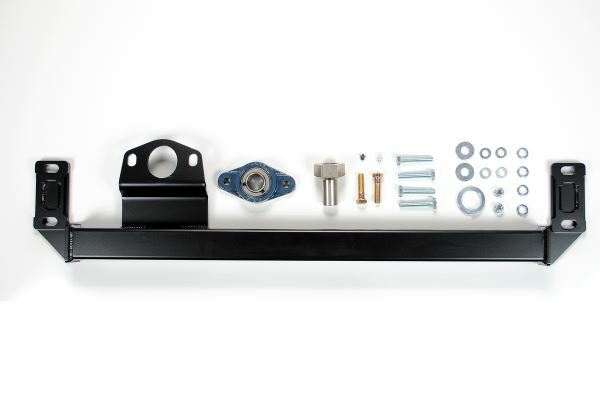 Sinister Diesel has released the 2015 version of their popular steering box stabilizer for Dodge 4-wheel drive trucks. This kit joins their 1994-2014 steering box stabilizers that are currently available. Sinister’s steering box stabilizer gets rid of the so-called “death wobble” and steering play that Dodge pickups are notorious for. A sub-standard factory frame rail that holds the steering box in place is what’s to blame. A weakness in the frame causes the steering box to flex, creating steering “slop.” As the parts degrade over time and normal use, the problem gets worse and worse. Sinister’s stabilizer joins the truck’s two frame rails together, which gives maximum support and stability for the steering box. It also fastens at the absolute highest leverage point of the two frame rails for utmost strength and durability. The kit includes all the hardware you need to install it yourself, usually in less than an hour. For more information, visit Sinister’s website.